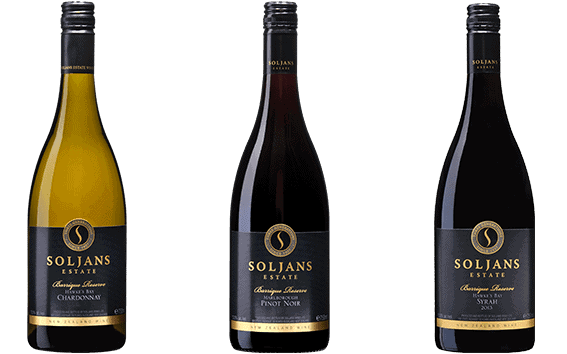 We here at Soljans take great pride in providing you with the best possible wines for any taste pallet. We have a wine for everyone! From dry to sweet, light and fruity to smoky and classic, you really are spoiled for choice. Luckily we have our helpful cellar door staff on hand to help you make the right choice and as for our online store, each wine has a taste profile for you to browse to find just the right wine. By skillfully marrying traditional with modern techniques, we produce stylish, delectable wines. Most of our whites are a cool-fermented in stainless steel tanks to preserve their very delicate aromas and flavours. Our grapes are sourced from key viticultural regions around New Zealand such as Hawke’s Bay, Gisborne, Marlborough and our home soil here in Kumeu. Our Estate Range consists of easy drinking, food friendly wines that can be enjoyed immediately. Encompassing a wide range of various varieties including Sauvignon Blanc, Riesling and Pinotage, we are confident you will find a wine within this range to match your occasion, or complement your cuisine. Our Barrique Reserve Range receive extra care and attention at each stage of the winemaking process. These wines are only made in the years when conditions have produced grapes that have the special quality required to make a Reserve Wine. Production is Limited. These wines will benefit from medium to long term cellaring. Our Premium Range consists of one very special wine at the moment, our Tribute. Tribute is a special red wine made to represent the pride, passion and dedication of the three generations: Bartul, Frank, Tony and their families. Our Sparkling Range is home to our most awarded wines. Whether you prefer Traditional Champagne Method Sparklings or a more fruiting route, we have something to suit you. 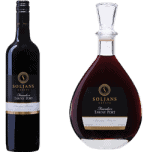 We here at Soljans are one of the only wineries to still produce a port. We are known for our ports and their rich flavours, pairing perfectly with a cold night and a warm fire.